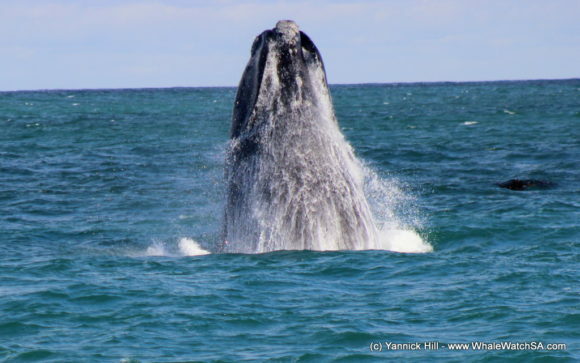 We set out on two whale watching tours today, working with Humpback Whales as well as a couple of very active Southern Right Whales. 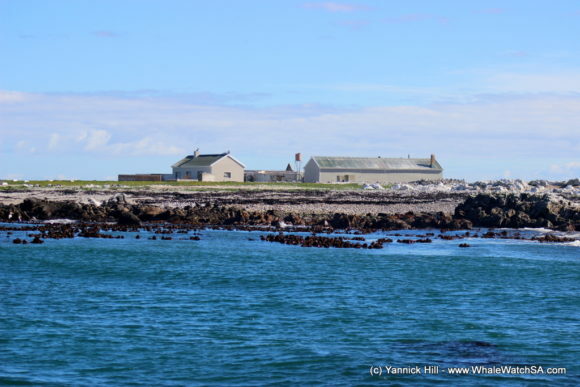 With the full moon still fooling around with our tides, the first trip of the day launched one town over in the scenic village of Gansbaai. 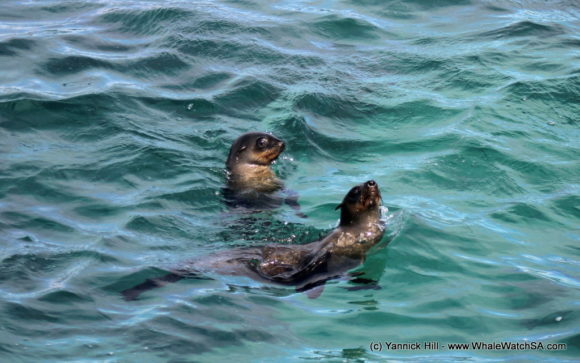 we had some wind out at sea today, which made for an adventurous ride as we cruised passed Danger Point and the abalone farms towards our own bay in search of some whales. 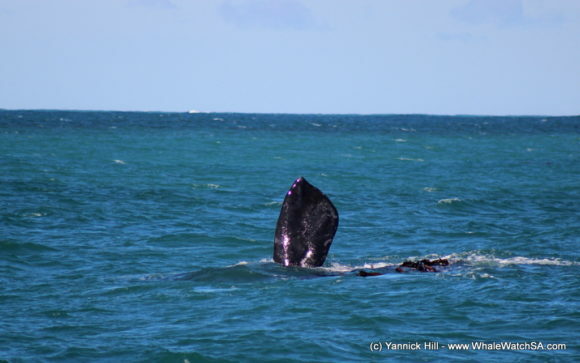 The very first sighting of the day was of a Humpback Whale travelling very close to shore. 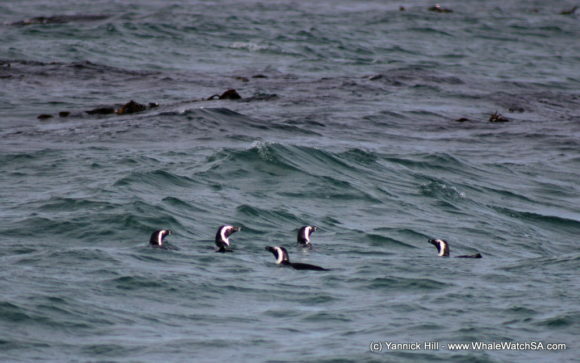 This individual seemed to stick along the coastline, travelling in an easterly direction. 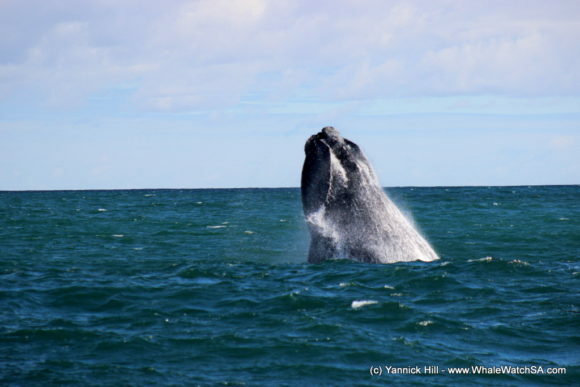 After watching this Humpback surface, we decided that we would take a gamble to try to find some more whales, heading into deeper ocean. 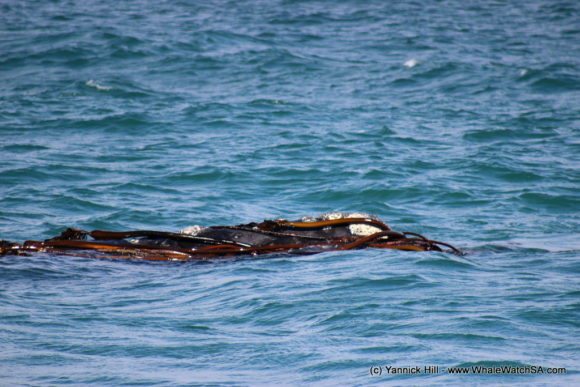 We passed by a couple of Humpback whales, having a brief few views of them before trying to find a whale who we could spend some time watching. 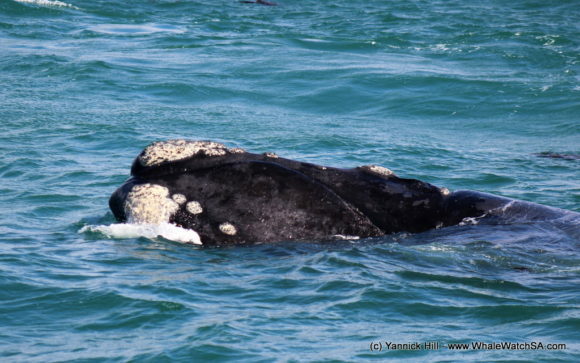 We found just the right whale a little later on in the tour as we were nearing Dyer island. 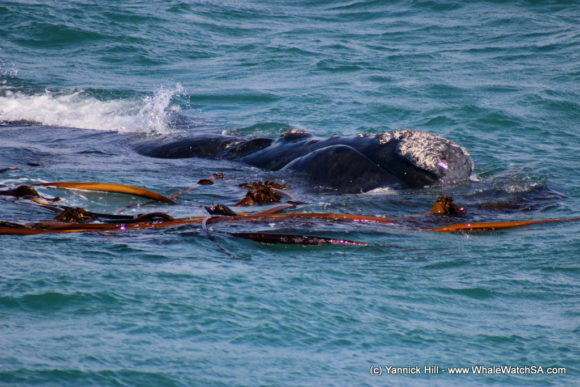 At first, we saw some slashing in the distance, which soon revealed itself to be a playful Humpback Whale. 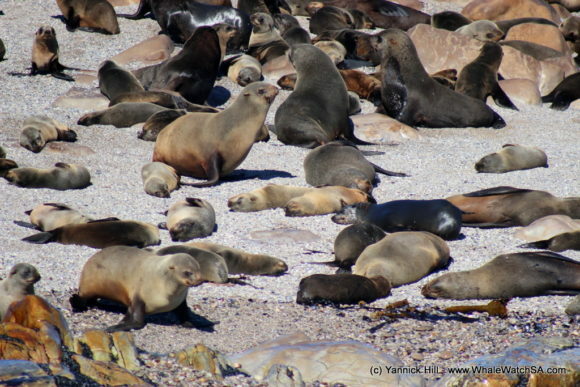 This animal did a few semi breaches for us, giving us some truly awesome views before we spent some time with our seals. 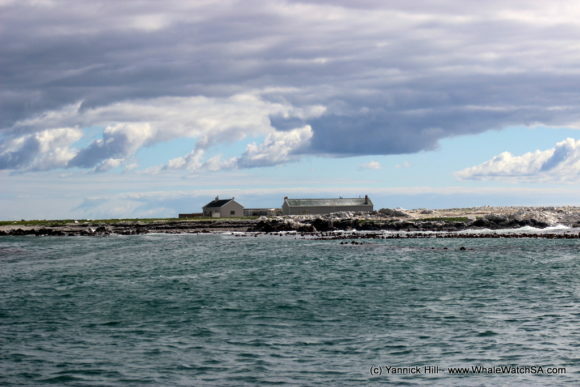 Our second tour head out from Kleinbaai harbour and saw us heading for slightly shallower water in search of some animals in the bay. 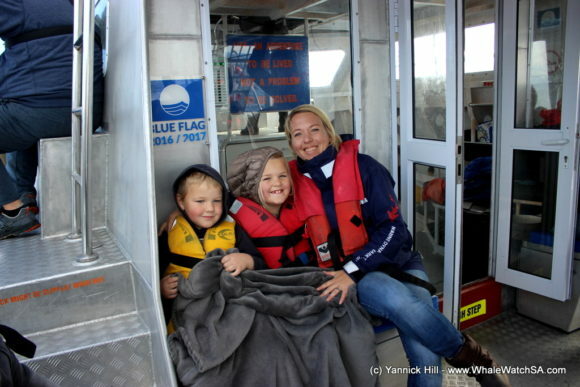 We were lucky to find some whales in minutes, with a large adult popping up next to the boat. Shortly after this, we realised she had a little calf with her so we moved on a little deeper to find the surprise of a lifetime. 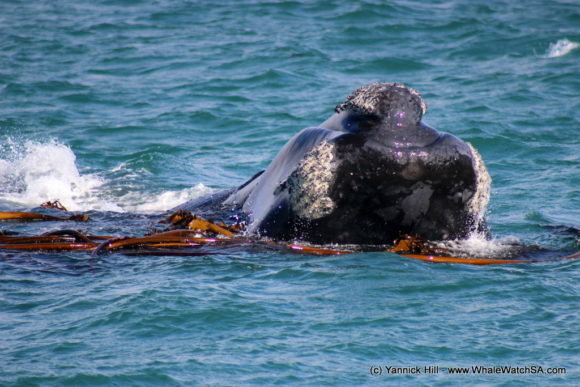 A Southern Right Whale was having the time of his life playing with an extensive system of kelp which had detached from the bottom of the ocean. 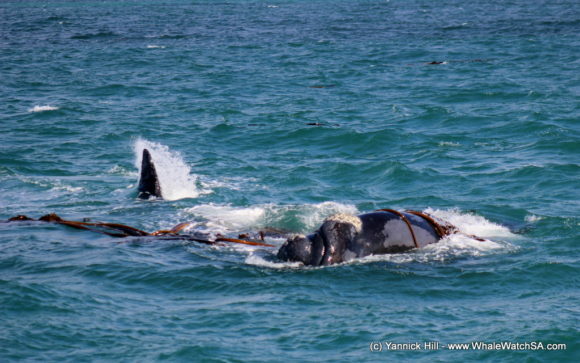 This whale was clearly enjoying himself, rolling and frolicking in the waves before deciding to add even more action into the mix. 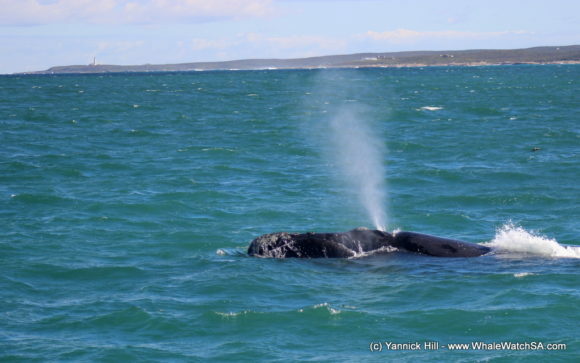 A few minutes after taking a deeper dive, this whale exploded from the water, giving a spectacular breach which was certainly one of the first Southern Right Whale breach of the season. 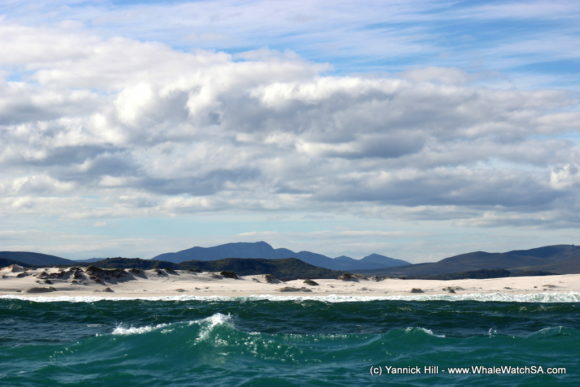 Once this whale had stopped breaching and taken a deeper dive we head on over towards the islands to see what other wildlife we could find. 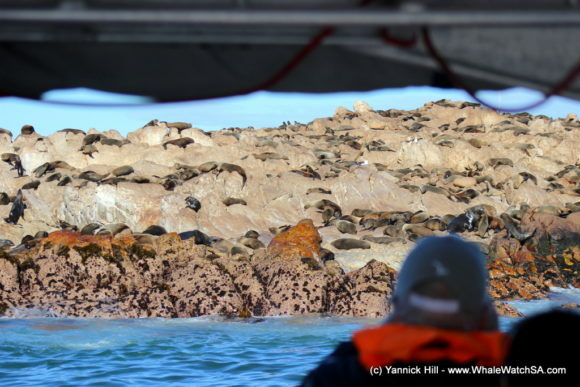 We went on to spot some Cape Fur Seals and even some African Penguins in the water before returning to port, all with big smiles on our faces.